Rocket Chameleon is now available on Google Play after two successful months spent on the App Store only. Imperia Online’s mobile title has received a brand new art style for its Android users, but the gameplay is kept as it is in the original version. 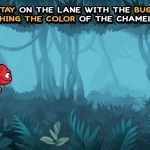 Rocket Chameleon is an entertaining mixture of color matching and endless runner and is appealing not only to the most casual of players but to competitive ones as well. 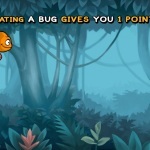 This is mainly due to the built-in Leaderboards and the dynamic gameplay which counts on quick reactions. The lighthearted application has a pixelated look in its original version, but in the Android edition the team decided to go for a cleaner, polished-looking style. 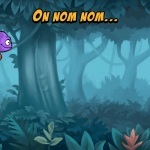 The quirkiness of the main character is preserved however, so now the Chameleon is a fun to play eye candy. 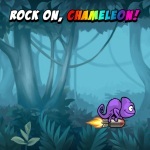 Install Rocket Chameleon on your Android device now!